This tour will introduce you to Combatants for Peace’s work on the ground. Join our activists in their programs, learn about the movement and the conflict and see why there truly is ‘A Reason for Hope’ in the Holy Land. Along with learning about CfP activities, you will also have the opportunity to experience a beautiful, guided tour of both Israel and Palestine with two of our amazing and inspiring CfP activists. established Combatants for Peace. The egalitarian, bi-national, grassroots movement was founded on the belief that the cycle of violence can only be broken when Israelis and Palestinians join forces. 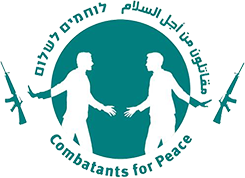 Combatants for Peace is the only organization, worldwide, in which former fighters on both sides of an active conflict have laid down their weapons, choosing to work together for peace and justice. They were nominated for the Nobel Peace Prize, 2017. To learn more, about Combatants for Peace please visit www.afcfp.org/trips. If you have any questions about Combatants for Peace, please reach out to Beth Schuman, Executive Director of the American Friends of Combatants for Peace at beth@afcfp.org.